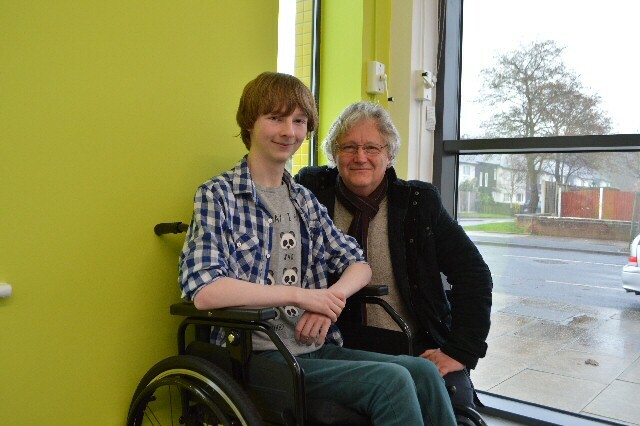 A teenager from Formby with a health condition that left him in persistent pain and having to use a wheelchair for 6 years has spoken about how an NHS service run by Lancashire Care NHS Foundation Trust empowered him to get his life back on track. Luke Kolassa, 19, was just 12 years old when in 2012 he began to 1st experience stomach pains, blackouts and low blood pressure, causing him extreme pain followed by frequent spells in Hospital. According to Luke, health professionals described his condition as 'medically unexplained.' Some 43% of the UK population experience persistent pain with 10 to 14% of the general population reporting moderate severely disabling persistent pain. Luke said that:- "My condition is unexplained. I'd often get a sudden jolt followed by my entire body going into spasms. I'd then be rushed to Hospital, to the AandE department. They just couldn't find anything wrong with me whereas I would be in constant and serious pain." According to his father, Leo Kolassa, the illness had a massive impact not just for Luke but for the entire family. "The journey hasn't been an easy 1… before the illness, he was a healthy lad, he had the joys of spring with great friends and a positive future to look forward to. As adolescence hit in it all changed and things became tough for all of us." Over a short period of time the illness also affected Luke's mobility. This was particularly poignant for Leo who made the decision not to return to work and be on hand to care for Luke. Leo commented that:- "His mobility was severely impacted. I used to carry him, pick him up out of bed, bathe him and then carry him down the stairs. He'd be either in bed or in a chair downstairs. I'd basically become his full time carer. Everything we did had to be planned well in advance and as a family we couldn't do anything without considering Luke. Everything was limited. We had to think about the logistics of getting him from place to place. We had to think about the wheelchair, getting him in and out of cars and negotiating places previously visited in a different way. It would be months before Luke dared to venture out. All this was a completely new experience and stressful for both of us. It really was tough." Proud of the way his dad has supported him, Luke said:- "My dad would sit in the room with me in case I had difficulties. It wasn't just the mobility issue that was the problem. The pain impacted on me tremendously but in different ways. I was set on going to School, then to 6th form and possibly university like my friends were hoping to do. My heart was dead set on this. But then this pain and the inability to do things myself stopped me literally in my tracks. I lost my independence, I couldn't get around the house or go out without help and I was fearful that I might have a bad turn and end up in Hospital again. I just couldn't see a future anymore, it made me feel really bad." It was at this low point in 2016 that everything was about to change. Luke was referred to the Community Pain Service and met Dr Chris Barker, Clinical Lead, and Dr Becky Simm, a Senior Clinical Psychologist, and Graeme Green, Senior Physiotherapist. 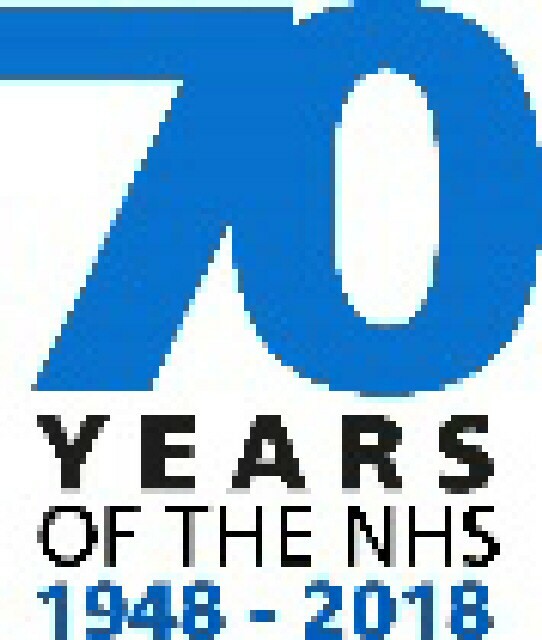 The service, which is delivered by Lancashire Care NHS Foundation Trust and commissioned by Southport and Formby CCG, works with people with persistent pain to reduce pain and its impact, when possible, and maximise functionality and wellbeing. Based at Ainsdale Centre for Health and Wellbeing, the Community Pain Service team explored Luke's personal goals and worked with him, both individually and in a group setting, to explore pain management strategies. This changed the way Luke manages pain, allowing him to live a fuller life. Dr Becky Simm, a Senior Clinical Psychologist with the Community Pain Service, said:- "As a service, we are based within the community and try to work closely with our patients to find out what is meaningful to them, in their lives, in the context of living well, despite pain, and explore personalised understandings of their best hopes. Through patient feedback, we aim to constantly improve the way we work. We also aim to work closely with our expert patient volunteer group, who unite and support pain sufferers and their carers. Luke has been an inspiration for us and we've enjoyed his wit and humour, and benefitted from his suggestions in adapting the service to be more friendly for young people. Usually, but not always, our patients tend to be adults in their 40's, and older. Working with Luke, and other young adults we had in the service at the time, inspired us to provide a more tailor made intervention for their age group, including an innovative young person's pain management course, designed for and with young people and which included physio sessions and hydrotherapy sessions." 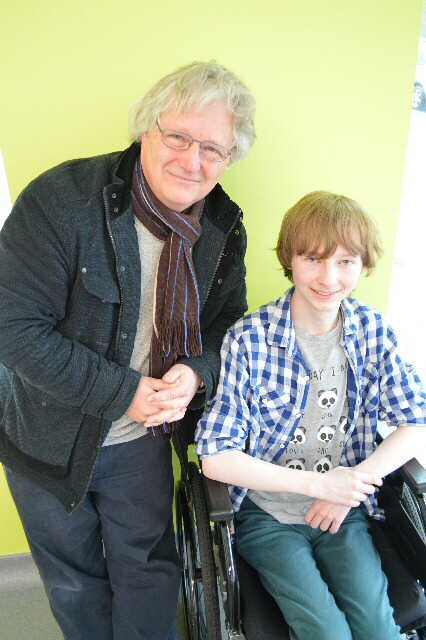 Luke said:- "My word the Young Person's Pain Management Course was a life change. The service and staff were wonderful. The programme was brilliant, the course brought other young adults together and when we did hydrotherapy together, it felt as if a bunch of friends were going out swimming. It gave me, for the 1st time in a long while, an opportunity to meet up with young people who have similar conditions. I wasn't unusual, I wasn't alone and I wasn't in that bad place all the time." Summing up the care he received from the Community Pain Service, Luke said:- "Before it was like I had a bad relationship with my body, because of everything that was going on inside. It was terrible, but once I started coming here, it was as if I finally understood the situation and my relationship improved. The Community Pain Service introduced me to a new approach and a new attitude to pain that I hadn't experienced before." Inspired by his love for comic books, he said:- "I began to consider my pain like a supervillain from a comic book. Readers often think supervillains are really horrible, but once you get to know them as the story line develops you actually begin to understand where they're coming from and why they act the way they do. But they are still the villain, you just understand them better. This is a parallel that the service enabled me to see in my own condition that made me feel upbeat and confident." As his involvement in the service continued, Luke began to embrace his condition and became confident enough to even visit the Dr Who Experience, a permanent exhibition in Cardiff. Leo commented that:- "This was a real treat and a long deserved holiday for us. Imagine not being able to go anywhere for such a long time because of our concerns and fears about how we would manage. Getting away was brilliant and a bit of a short holiday for us." said. "We were there for 3 days and stayed in a hotel. We wouldn't have been able to do this prior to coming to the service, it made such a huge difference and since then we've been able to go out more regularly. Luke gained so much confidence. As a keen musician and since his health problems began, he had stopped his keyboard lessons but he's started again thanks to the Community Pain Service..." he said, adding that Luke also recently played as a Viking bard, at the Formby Viking, in September 2017. Luke's newly found confidence has also instilled hope in dad Leo. Leo said:- "The service has done wonders. We've seen a changed person in Luke from what he was before and what he is now and that makes me proud I am now confident that Luke can be left alone and he can have enough flexibility to a degree to be self-sustainable and he will not panic himself. There are certain things he can't do still, but it will take time and we will get there I'm sure. I feel I have been able to shift away from a carer role and back towards having a 'more normal' father role again as Luke's independence has improved. Coming here has empowered him and in turn empowered me as a dad to see him flourish as an individual and I don't fear so much for his future as I did before thanks to the Community Pain Service." Asked to sum up how he deals with his condition, Luke said:- "Me and Becky came up with a concept that we coined 'Mowgli Moments' from Rudyard Kipling's Jungle Book. It's inspired from the story's ending which is both happy and sad. Part of you is sad that he's leaving the jungle, but then you're also happy that he's going to live in the village among his own people and to be able to grow into normal adulthood. I see a similarity with my condition and have been building towards having more 'Mowgli Moments'. I'm leaving the jungle and heading towards having a more normal life." A brand new wheelchair accessible powerboat is soon to be launched by not for profit charity Local Solutions at their Liverpool Watersports Centre. This will be the 1st fully accessible powerboat at the centre, strengthening existing provisions for people with disabilities. 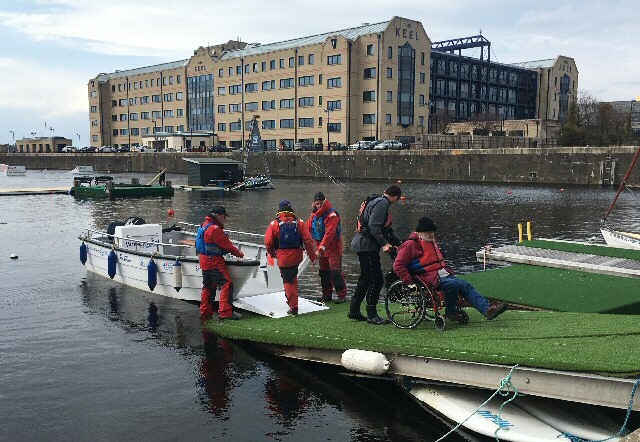 The 2 charities, the Wheelyboat Trust and Local Solutions are working together to provide people with mobility impairments with the ability to participate fully in water based activities at this centre. The new Coulam V20 Wheelyboat, has been named:- 'Sir Bert Massie' after the renowned disability rights campaigner and long standing trustee of Local Solutions. The boat was launched at 4:00pm, on Thursday, 12 2017, April by Sir Bert Massie's wife, Lady Maureen Massie. The event was also attended by the Lord Lieutenant of Merseyside, Mr Mark Blundell and local Councillor Pam Thomas, Cabinet Member for Inclusive and Accessible City of Liverpool City Council, who both made speeches at the event. Local Solutions' Watersports Centre is in the process of developing its facilities specifically for people with disabilities to boost well being, self esteem and skills. The combined successful fundraising of ₤33,220 by Local Solutions and the Wheelyboat Trust with the support from Sports England for the new Wheelyboat has allowed the thriving centre to enrich the lives of their learning, sensory and mobility impaired visitors, with this new roll on, roll off access powerboat, which will enable them to enjoy the excitement of water sports without the need to leave their chairs. Local Solutions prides itself in being a thriving centre delivering services to support individuals, families and communities with a primary focus on those experiencing disadvantage, exclusion and vulnerability. The special features of the Wheelyboat will provide users with mobility impairments with new skillsets, as disabled users will be able to learn to operate the boat themselves, as well as achieving accredited watersports qualifications. Developed by The Wheelyboat Trust and J M Coulam Boatbuilders, the V20 Wheelyboat offers flexible seating, an open level deck and a watertight bow door that lowers to form a solid ramp for extremely easy and safe wheelchair friendly access. The craft allows people with mobility impairments to participate in waterborne activities alongside and on equal terms with their non-disabled counterparts, an important factor in the quality of life they are able to lead. The Wheelyboat will also play an important part in extending the offer to visitors to the City. The Liverpool Watersports Centre is already enjoyed by many tourists and won the 'Small Venue of the Year' award at the LCR Tourism awards in 2017. Visitors with mobility restrictions will now be able to enjoy pleasure boating and historical tours of the famous Liverpool docks, from the water, as well as taking part in power boat training. Jon Hannaway, manager at Liverpool Watersports Centre says:- "We're committed to extending our activities and provision, to make watersports accessible to everyone. Having the Wheelyboat means we can offer so much more for people with disabilities, everything from pleasure boating, tours of the docks to gaining qualifications. Taking part in watersports is so good for your physical and mental health and this is just the 1st part of our campaign to extend the activities we have available. The Wheelyboat gives us the perfect vessel for wheelchair users to experience independence and get involved on the water, honing both their physical skills and boosting their well being." Andy Beadsley, Director of The Wheelyboat Trust says:- "Our Wheelyboats are designed to provide all people with access to the water, giving disabled people confidence and the equal opportunity to experience freedom and enjoyment on the water. The launch of this boat by Local Solutions at the Liverpool Watersports Centre will allow disabled visitors to not only have access to the water, but also gain power boating tuition and qualifications for the 1st time, so this launch is particularly special." The Wheelyboat Trust relies on the support of:- individuals, companies and charitable organisations to fund its activities. Donations can be made in a variety of ways including online options.